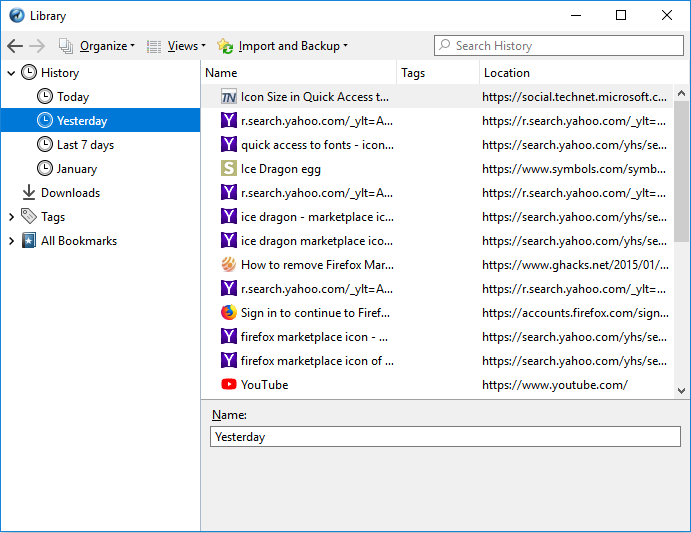 IceDragon will store a log of web pages that you have visited for the past 10 weeks. From time to time you may find it useful to look back through your history to revisit a particular site. 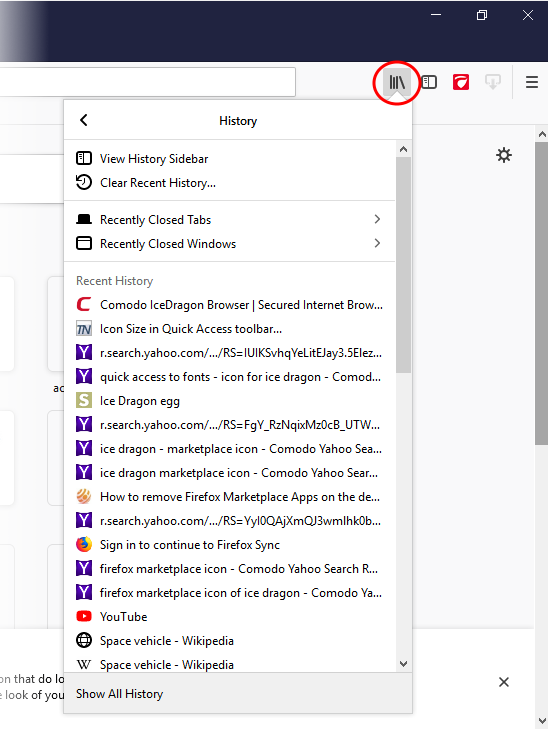 Note - IceDragon only stores your browsing history when in standard mode. No history is saved in private mode. This section explains how to view your browsing history. A list of webpages that you have browsed in the recent past will be displayed. Click on the page you want to re-visit. You can also see the pages that you have visited in your present browsing session by clicking and holding down the forward and backward arrows adjacent to the address bar. Hover over a result and release the mouse key to switch to that page. Select 'Library' > 'History' > 'Show All History'. 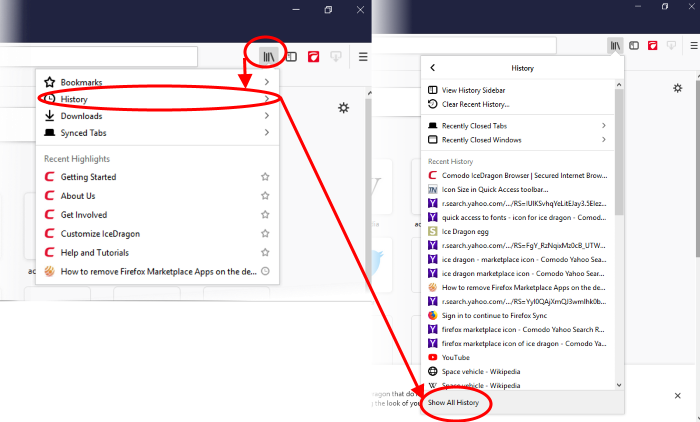 Double-click on the time period for which you want to see the browsing history. You can choose from yesterday, the previous week and previous months. The list of visited pages for that time period will be displayed. Double click on the webpage you want to re-visit.